NEXT | What do you think of the Paragon reputation system? This is not a good beam. I know it looks all shiny. I know you just got flying, and want to explore everything there is to explore. But you should probably avoid this beam, because it is a very bad beam. Trust me, this beam has no good intentions towards you. Stay away from it. It’s the worst. This far into Legion, and I’m still trying to understand this whole artifact appearance thing. You (or somebody) really expect me to try (well, a second time) that crazy one-on-three scenario against Sigryn and her pals just to get a different artifact appearance? No boost to ilvl, abilities, anything except appearance? I know a lot of people like transmog (to the point of distraction), but I never could get into paper dolls as a kid, and the only transmogs I’ve done are (1) rogue hats -> Shado Pan helmet, so I don’t have to wear something that looks like a novelty condom or a hankie hiding a missing lower jaw (Here’s looking at you, Forsaken), (2) my hunter’s weapon (any weapon, started back in Mists) -> the Sonic Pulse Generator, because who doesn’t want a weapon with a frikkin’ laser sight?, and (3) my pally’s gear to order hall gear, because Pallies are supposed to look all shiny. How else could you tell them apart from mere warriors ‘midst the mud and the blood? So I do have it right, right? Bliz is trying to get me, the lowly LFD and LFR-er, to complete a scenario with which ilvl 909 folks are having some difficulties, just to change how my weapon looks? Please let me know if I’m missing something fine and wondrous by not playing along. Yep! Essentially it’s a bonus thing for funsies and for a cool new look for your Artifact weapon. You are under absolutely no obligation to complete it, if you don’t care for the rewards, or don’t feel up to the challenge. Personally I have yet to attempt it myself, as I’m still trying to get my ilvl up to a point where I feel like I could survive more than a minute or two. Think of it like Pet Battles — something that’s in the game for you to explore if it sounds interesting, but not actually required for anything. Am I the only one a little surprised that during the Q&A we just got confirmation of a Raid taking place on Argus?? That one caught me off guard. Also, do you think this makes a 7.4 patch more likely, or less? Well heading to Argus is a pretty big deal — I mean, we’re taking the fight to the Legion after all. It would be pretty strange to hit up the former Draenei homeworld just for a handful of World Quests, you know? But I don’t really think this has any bearing on whether or not we’ll see a 7.4 — if the developers feel like they’ve got enough material to throw out another patch, they’ll give us another one, whether it’s 7.3.5 or 7.4. If they don’t, we won’t see one. QftQ: I got invited to play the necromancer beta, was just wondering do you need the Reaper of Souls expansion to access it because i can’t get in. Nope, you don’t need the Reaper of Souls expansion to participate in the beta if you’ve been invited. There’s a known issue that was throwing an error message at people trying to log into the beta — it happened to me, too. As of this morning I’m able to log in and play however, so you may want to try again if you haven’t already. What exactly will a timewalking raid be? To me, LFR makes zero sense. We already have tourist mode Black Temple for instance – its called bringing your 110 and mowing through the place. Normal mode difficulty maybe? The Black Temple raid will require a premade group of 10-30 people — no LFR queueing. Like Timewalking dungeons, all your gear will be scaled down, which means mechanics will be very relevant again. Sadly, it looks like the Teron Gorefiend Flash game is no longer available for practice — I wonder if someone will re-release it? 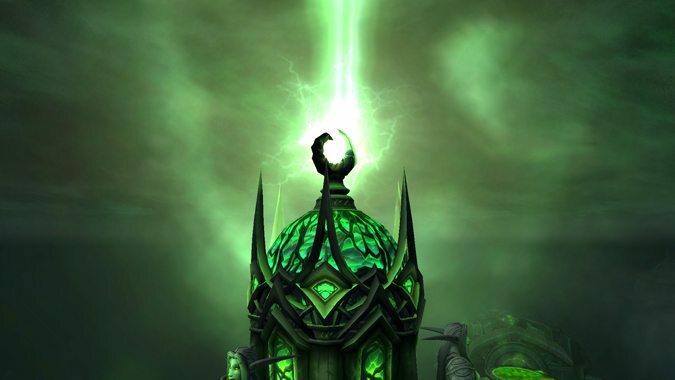 What rewards will the Timewalking raids have to make them worthwhile? Will the gear that drops scale back up to heroic raid gear (of the current tier)? Will they offer the time walking currency like the dungeons, but significantly more, so people will spend their timewalking weeks doing the raid instead of the dungeon? Any new achievements or other transmog (there is the ability to tmog the Illidan glaives if already own them and do timewalking, will that set a precedent for the others?)? The rewards work pretty much like any other Timewalking rewards — ilvl 850 loot for level 110 players, plus Timewarped Badges from bosses. Additionally, there will be sets for classes that didn’t actually exist back when the original raid was current, so Monks, Death Knights, and Demon Hunters will all have sets they can collect. Since there are way more bosses in the raid than there are in dungeons, you’ll get more badges for your effort. I imagine if it works like a standard raid did back in Burning Crusade you’ll only be able to complete it for rewards once, but I don’t know if that’s been clarified or not.